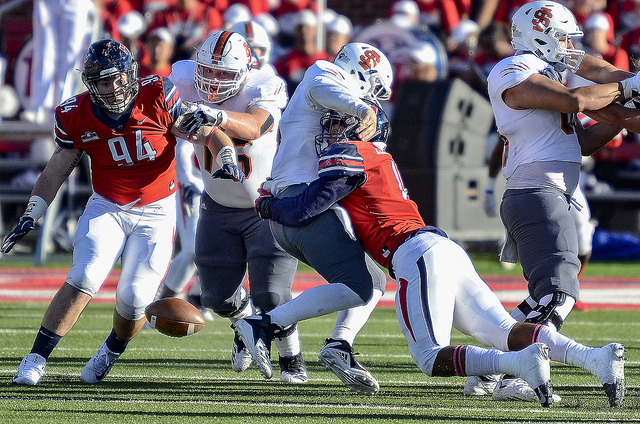 Liberty got the job done Saturday against a team that just wouldn’t go away. The Idaho State Bengals went toe-to-toe with the Flames all the way up until they failed to grab their onside kick with 24 ticks left on the clock. 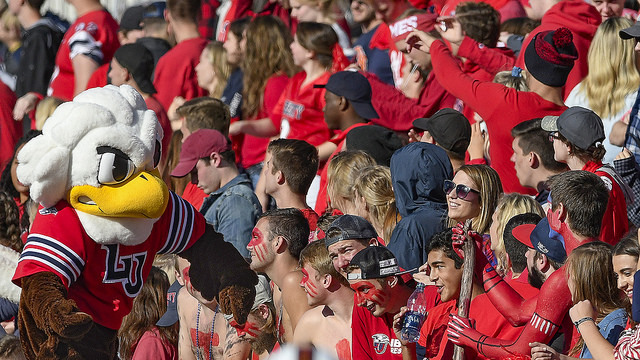 QB Buckshot Calvert led the Liberty offense on a beautiful 15-play, 6 and a half minute touchdown drive to open up the game which made way for an impressive outing on the day. 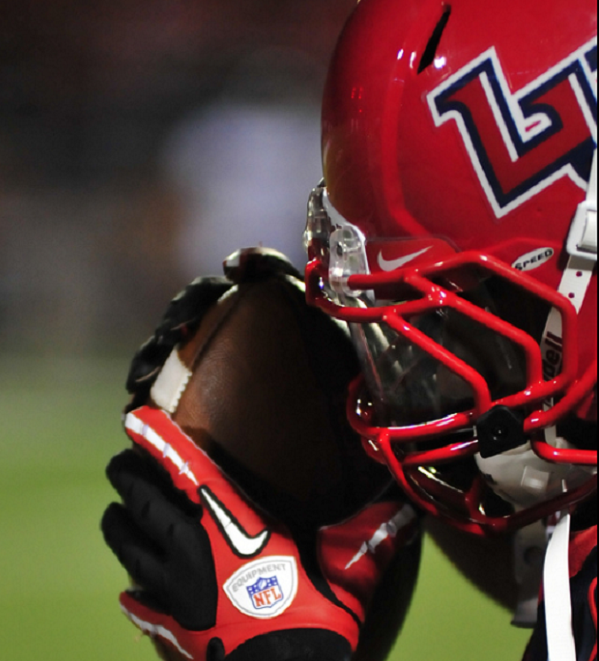 Unfortunately, Liberty’s defensive woes returned as they gave up 631 total yards to their FCS foe. 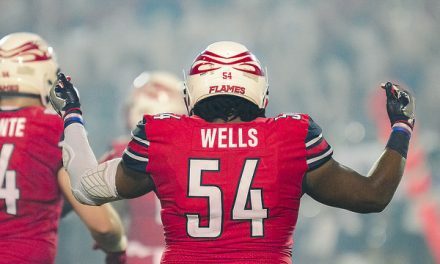 With the bye-week at hand, no doubt the Flames will focus on tackling and cleaning up their defensive issues. But for now, we will look back at a few performances that played a major role in Liberty’s victory this past weekend. 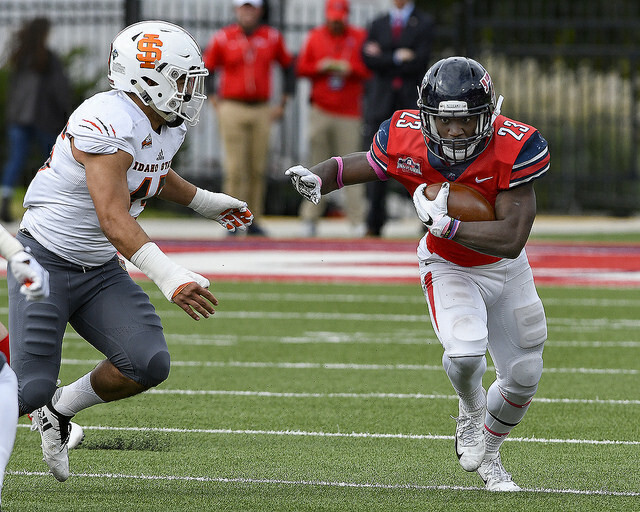 With starting RB Kentory Matthews sidelined because of an injury for a few weeks now, Frankie Hickson has served as Liberty’s lead back. Saturday was one of Hickson’s best games during this stretch and of his career in Lynchburg. The junior averaged 6 yards on his 22 carries for the afternoon. 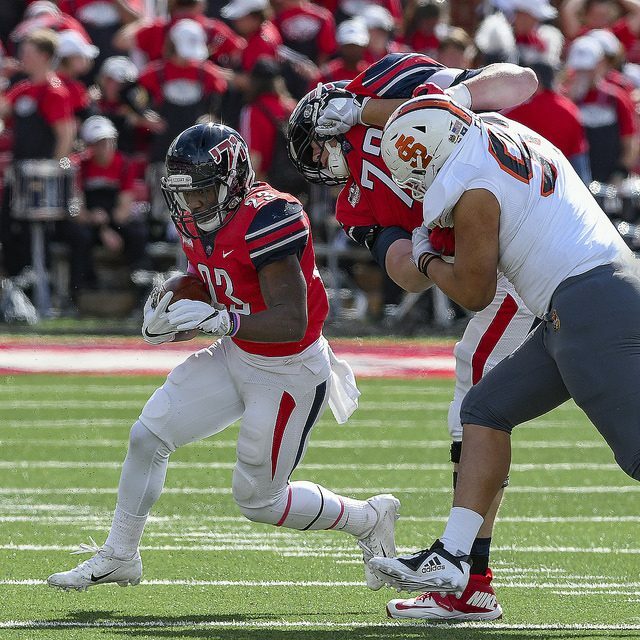 He rushed for 133 yards and got the hat-trick with 3 touchdowns including a 47-yard score with 1:27 left in the 4th quarter which put Idaho State out of reach for the Flames. In case you weren’t already convinced Lemonier was one of the most important off-season additions for the Flames, that should have changed on Saturday. The junior lineman reeked havoc on an impressive Bengals offense all afternoon. He accounted for 9 tackles, 3 sacks, 5 tackles for loss, and two forced fumbles, which is the best defensive stat line we’ve seen all season. When the season started, we never would have guessed that one of the most polarizing members of the team would be the punter. From his targeting call against Army to his up and down play throughout the season. But this week, Alves’ performance was impressive and earned him special teams MVP. On 5 punts, he averaged 45 yards and had 3 land inside the 20 yard line. His most impressive play of the day? A 73 yard punt in the 2nd quarter. Liberty Alum '16. Contributing writer for A Sea of Red since 2015.